1. What is the Rhapsody 3 PRO? The Rhapsody 3 PRO is the third-generation videoke system from Grand Videoke. 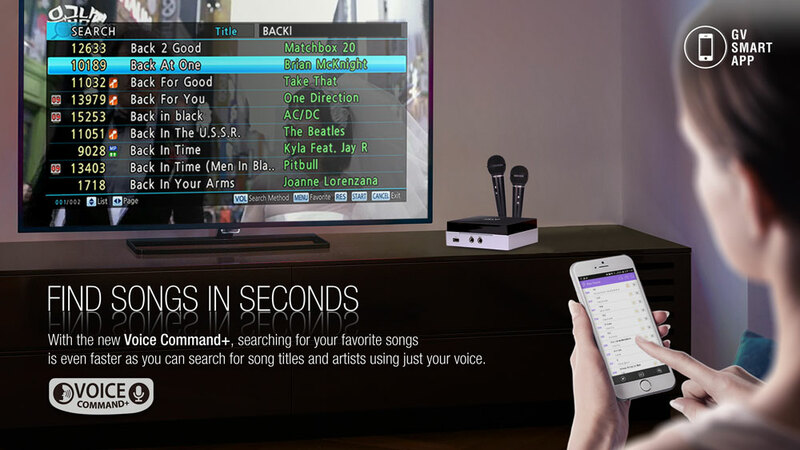 This new-generation videoke system incorporates new features never before seen with other videoke systems: GV Smart App, GV Air Transfer, Direct Song Download, Perfect Pitch™ Real Time Scoring System, HD+™ Audio, and 3D RealSound™. 2. What is the GV Smart App? 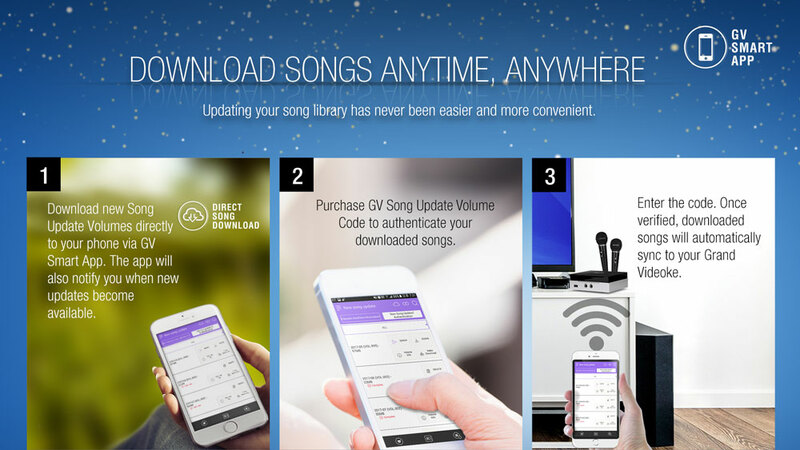 Direct Song Download — Download songs anytime, anywhere. No more physical song packs! Get new prompts for new song updates from the app. Download them directly to your phone even when you are not connected to the Grand Videoke (e.g. when you are out of home). Purchase GV Smart Card online to get an authentication code for your downloaded songs. 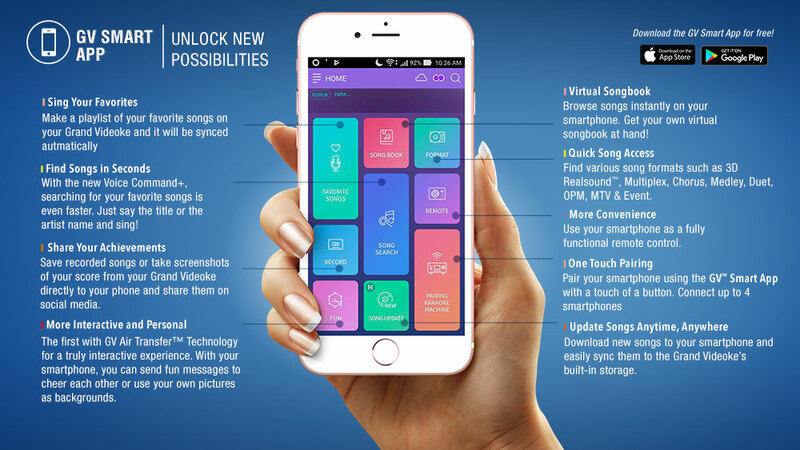 Once you are connected with the Grand Videoke and authentication has been done, your downloaded songs will automatically sync to your Grand Videoke. Voice Command+ — Find songs in seconds. 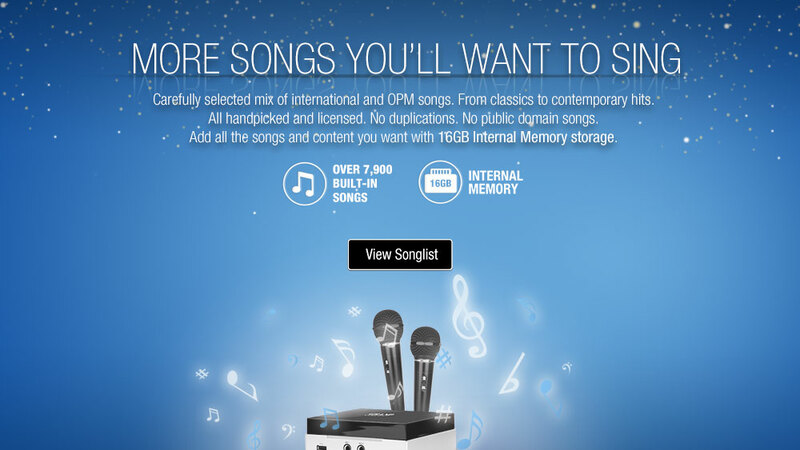 Searching for your favorite songs is even faster as you can search for song titles and artists using just your voice. Live Messaging — More personal, more interactive. 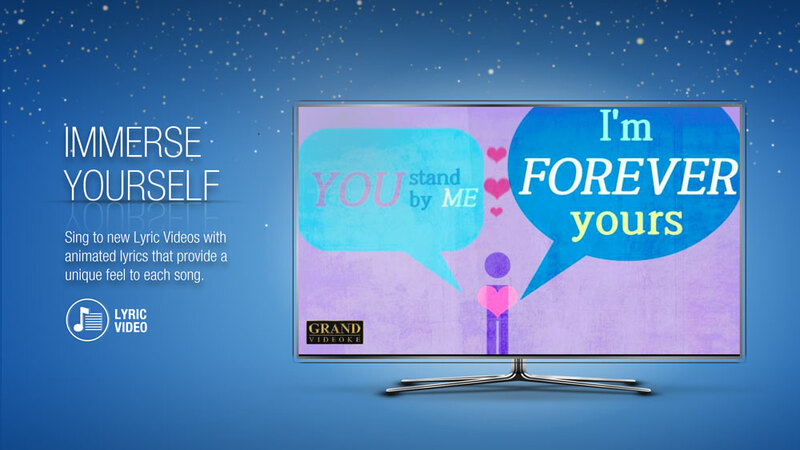 Everyone connected to the Grand Videoke (up to 4 smartphones/tablets) can send messages that will be flashed on screen. No need to wait for the singer to finish for the spectators to have fun! 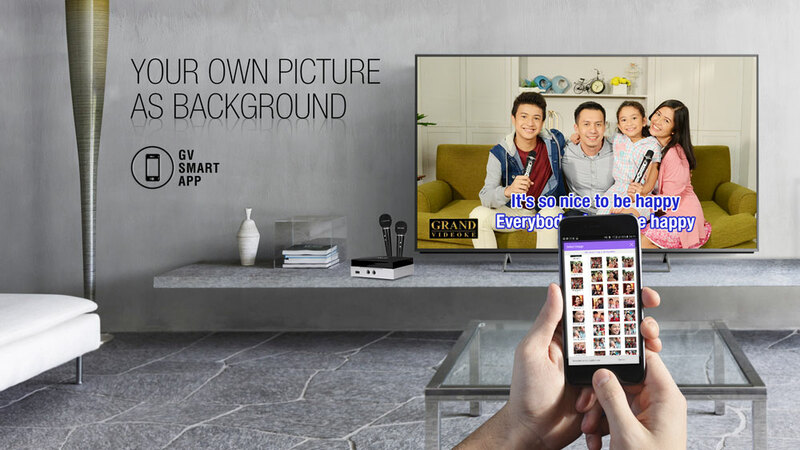 Photo Transfer — Transfer photos from your smartphone/tablet to the Grand Videoke and instantly use it as your custom video background. 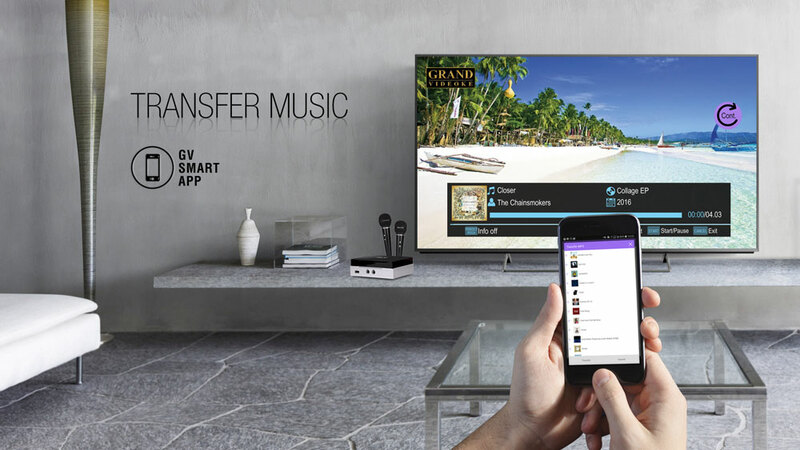 Music Transfer — Transfer music (MP3 files) from your smartphone/tablet to the Grand Videoke’s internal storage and listen to them later. Great for using the Grand Videoke as a jukebox on breaks during your videoke parties. Screenshot Sharing — Transfer Perfect Pitch™ four-point score and scoreboard/ranking screens from the main unit to your smartphone/tablet for sharing on social media such as Facebook, Twitter and Instagram. Recording Transfer — Transfer your recorded songs from the main unit to your smartphone/tablet and share them on social media such as Facebook and Soundcloud. 3. 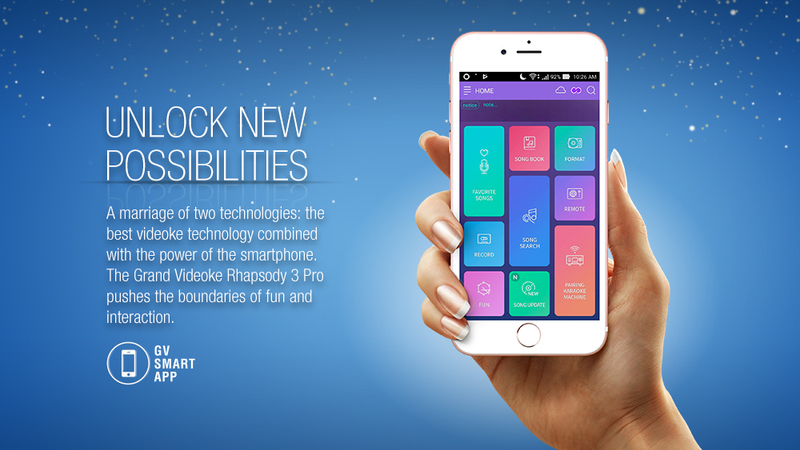 How can you pair your smartphone/tablet to the Grand Videoke Rhapsody 3 PRO through the GV Smart App? Pairing is done easily in two ways: Hotspot mode and AP mode. Hotspot Mode — Allows direct connection between your smartphone/tablet and the Grand Videoke. This is done by connecting the Grand Videoke to your smartphone/tablet’s Wi-Fi Hotspot (Wi-Fi Tethering). This is useful when a Wi-Fi router is unavailable. You may access the instructions on how to pair using this mode through this link. AP Mode — Short for “Access Point” Mode. 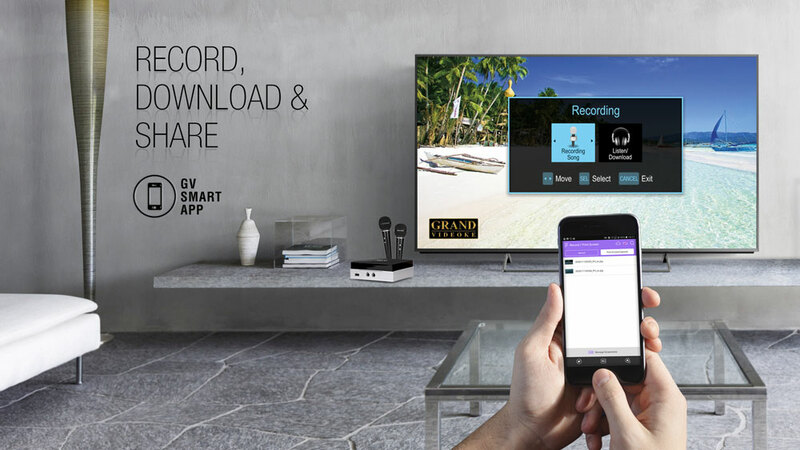 The Grand Videoke and the smartphone/tablet will connect to the same Wi-Fi router. In this mode, you are allowed to connect four (4) smartphones/tablets to the Grand Videoke. You may access the instructions on how to pair using this mode through this link. 4. 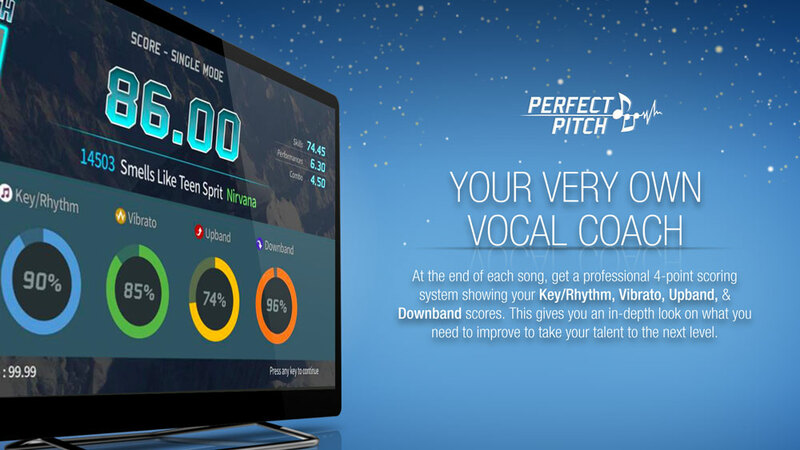 What is the Perfect Pitch™ Real Time Scoring system? 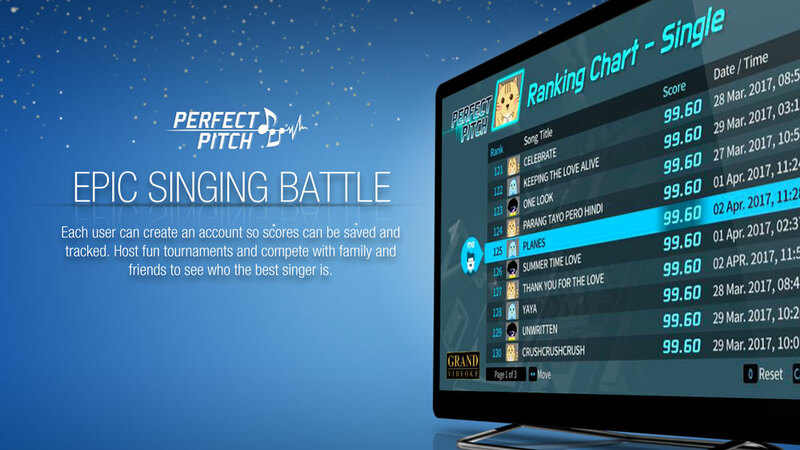 The Perfect Pitch™ Real Time Scoring system is a technology exclusive on Grand Videoke that gives valuable feedback in real-time while you sing. It is very much similar to having your own virtual singing coach. At the end of each song, the professional four-point scoring system shows your performance in terms of Key/Rhythm, Vibrato, Upband, and Downband. This will give you an in-depth look on what you must improve to take your skills to the next level. 5. What is HD+™ Audio and 3D RealSound™ technology? 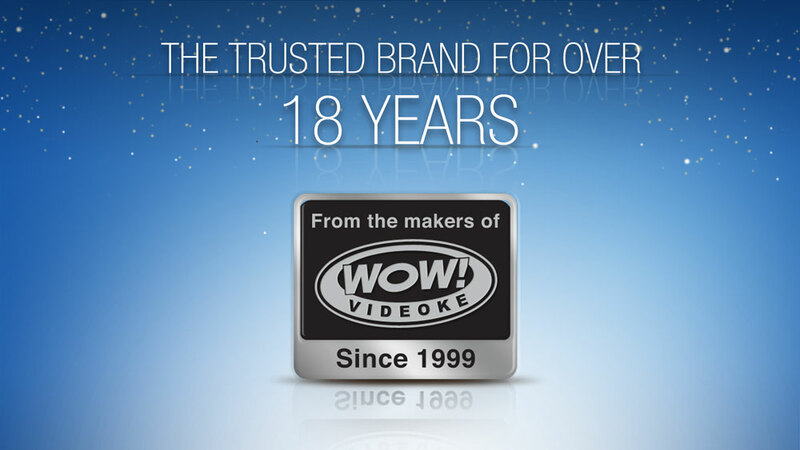 Thanks to the specially-tuned built-in Dream® Sound Module, the Grand Videoke is capable to produce HD+™ Audio which is better than CD-quality sound — featuring 16-bit 48 KHz sampling rate and 414 instruments. 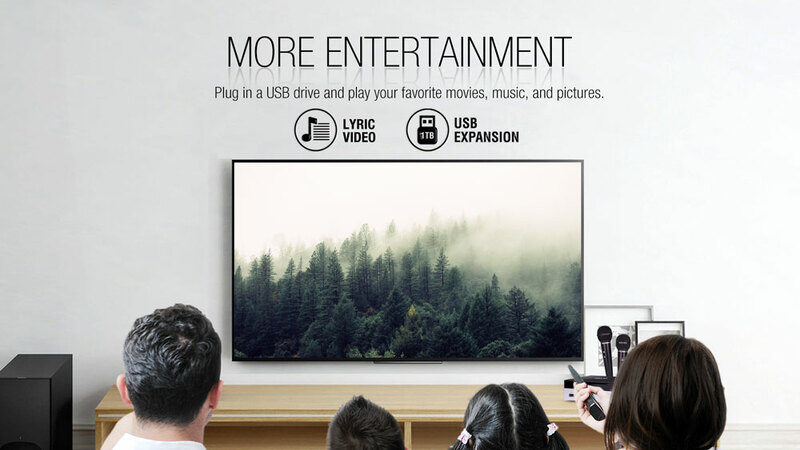 This results to music with better depth, wider soundstage and minimal distortion never before heard with previous Grand Videoke systems as well as competing systems. 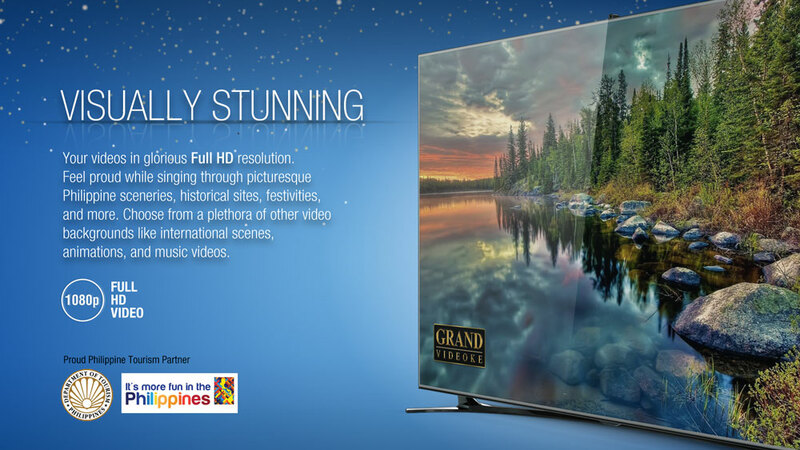 The 3D RealSound™ technology is the enhanced version of the Grand Videoke-exclusive RealSound™ format. 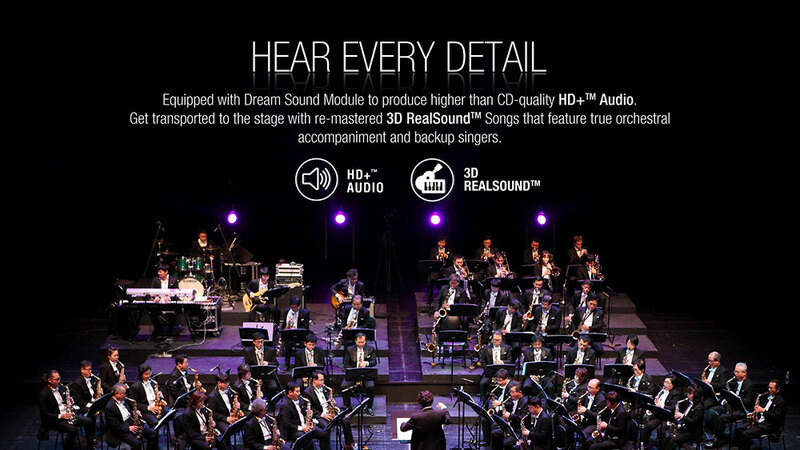 Synergizing the advantages of HD+™ Audio technology, 3D RealSound™ are re-mastered RealSound™ songs featuring true orchestral accompaniment and backup singers. Song Pack Slots No Physical Slots — Song updates are done digitally via GV Song Update Volumes from the GV Smart App's Direct Song Download function. 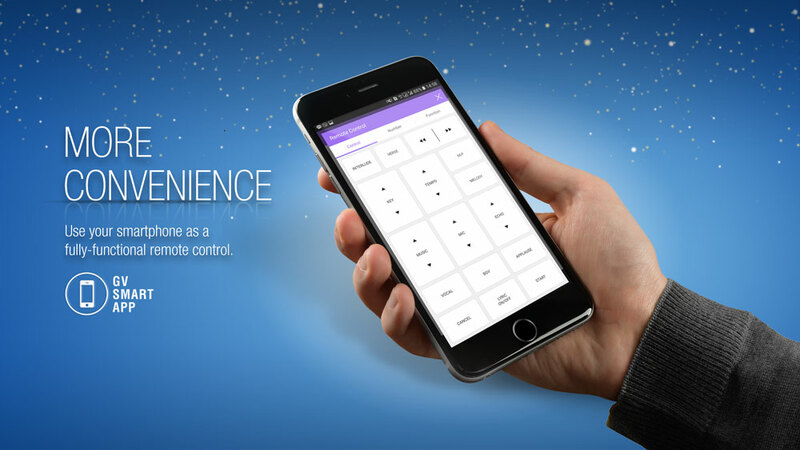 GV Smart App is available on Android and iPhone/iPad. 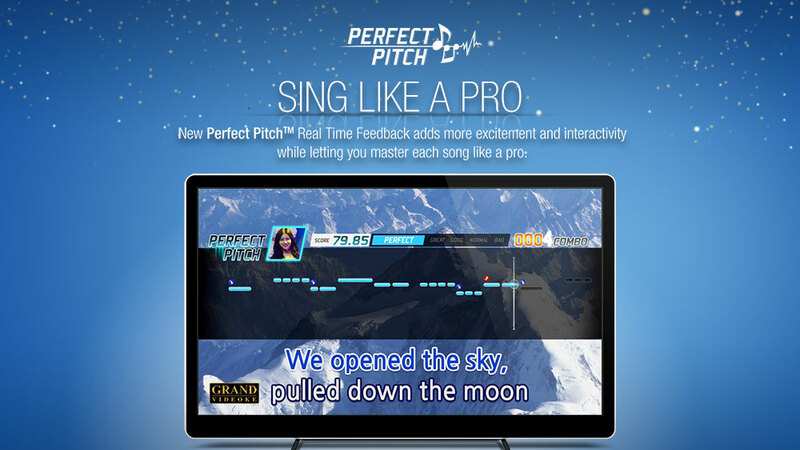 Perfect Pitch™ All built-in and GV Song Update Volume songs except duet and rap can be played with this function. Experience Grand Videoke's exclusive 4-Point Scoring System that allows you the experience singing as if you have your own virtual vocal coach.